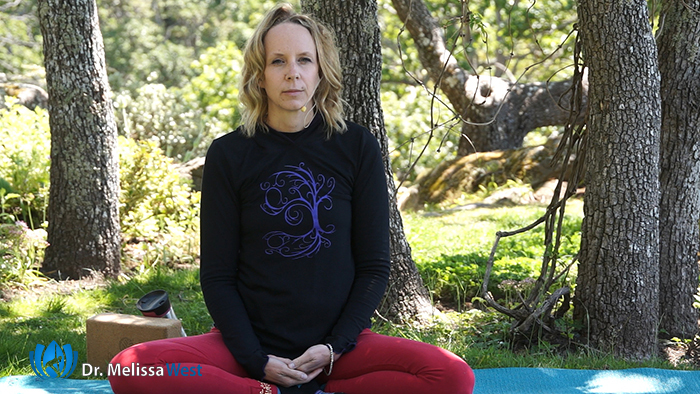 In our Awakening Your True Self Series we are exploring the Six Paramitas or Six Perfections. The intention behind cultivating the six perfections is for the development of compassion. It is considered a path of the Bodhisattva. Today we are reflecting on the fifth paramita or the fifth perfection, dhyana paramita or the perfection of meditation. There are many misconceptions when it comes to meditation. In our current time and place, it grows out of a culture of expectations and collective belief system that our activities should be results oriented. Interestingly, meditation is a practice, a process and not results oriented. 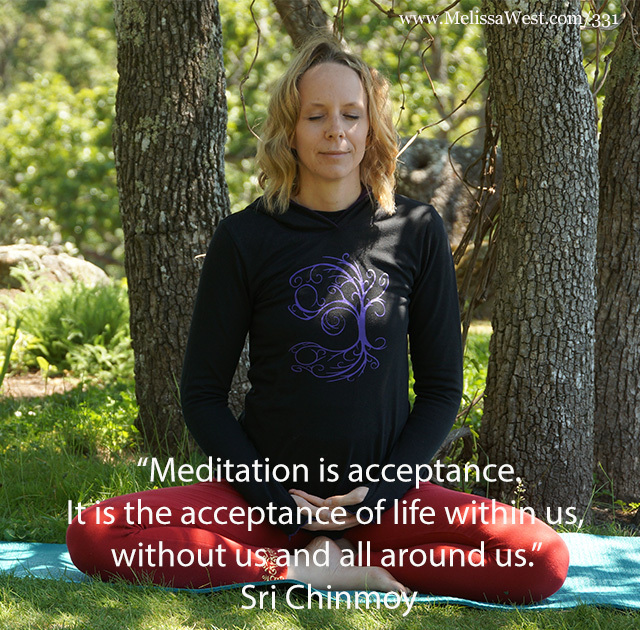 This is where the “perfection” of meditation arises for so many practitioners. Meditation is a practice in concentration and focus. I get questions all the time about focus. We can all relate to our energy being scattered. We are worried about the future, we have regrets about the past, replay events from the past over and over again. Through the development of a concentration practice we are able to gather a lot of energy that is available to us. It is energy that is flying all over the place right now in the past and in the future. Through a practice of focus we can cut through the layers of confusion. 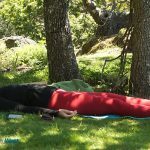 In this way, meditation is also a path of healing that allows you to move into wholeness and your center and away from this constant state of fragmentation. So meditation is a practice of focus. Meditation is a practice of concentration. We gather our attention around an object and hold that object in balance. Usually the object of concentration is your breath. Why is the object of attention and focus your breath? Because you don’t have to believe in anything to meditate on your breath. You also don’t have to reject any beliefs to focus on your breath. You can pay attention for the sake of cultivating your steadfastness of attention. When practicing concentration it is a balanced concentration. It is not stressed or too relaxed. Sharon Salzberg uses the example of holding a precious piece of glass in her hands. If she holds it too tightly it will break, if she holds it too loosely it will fall out of her hands and break. When we focus on our breath we must be present in a sustained way. There is balance between ease and alertness, energy and tranquility, relaxation and alertness. What happens in your meditation practice is much less important than how you relate to your practice. I love how Sally Kempton says thougthswillcomethoughtswillcomethoughtswillcome. This is the nature of your mind. What is more important is how you are in the moment that you come back from distraction. Does your inner critic immediately berate you for being distracted? Sharon Salzberg says the moment you come back into focusing on your object of attention, your breath, is the opportunity for kindness. You get to start again. Ten seconds later you get to start again. You begin again and again with kindness, that is the practice. If you would like more support in starting and maintaining a meditation practice, then I highly recommend our membership community. 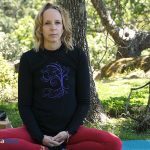 It starts with a short yoga class that prepares your body for sitting, then it teaches you all the different possible seated positions for meditation, it teaches you how to be with your breath and how to be with your thoughts. 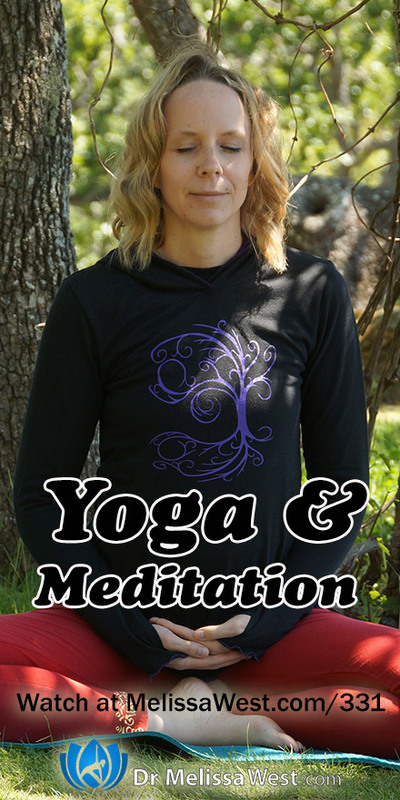 Recently I added a guided 6 min, 12 min and 24 minute guided shamata meditations. 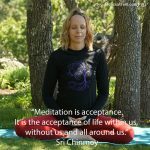 Shamata meditation is the meditation practice that I practice daily. Shamata means calm abiding. It is the natural state of our mind. Shamata meditation is a practice of focus or concentration. 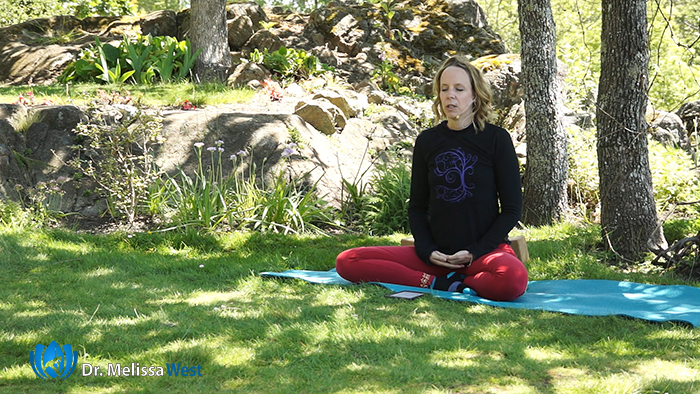 Through shamata meditation you can learn to be with anxiety by strengthening the stability of your mind. The object of shamata meditation is our breath. In this practice we are gathering our energy in our belly. This creates space away from thought. This is a powerful practice in freeing ourselves from distraction. 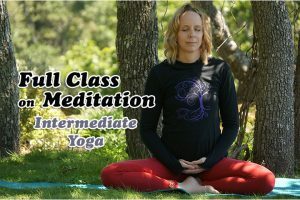 Through this meditation practice we will learn to calmly abide and to be peacefully present with our breath.